A UK parliamentary group on Tuesday launched a new report into the country's position as an attractive higher education destination and revived calls for a post-study work visa as part of its many recommendations to stem the drop in Indian students choosing British universities over the past eight years. The All Party Parliamentary Group (APPG) for International Students concludes in its report titled 'A Sustainable Future for International Students in the UK' that an "ambitious and positive plan" is urgently required to drive sustainable growth in Britain's seventh-largest export market and reverse the decline in student enrolments from growth countries like India. 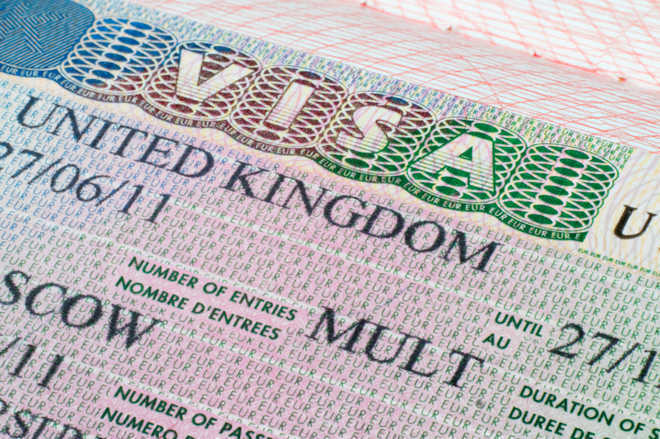 "The withdrawal of the PSW [post-study work] visa was attributed with a decline in international student recruitment in the UK from key markets, notably India. Between 2010-11 and 2016-17, the number of higher education students from India more than halved," the report notes, quoting the country's Higher Education Statistics Agency (HESA) data. It also takes note of India's exemption from a recently expanded list of nationalities considered as low-risk for the purpose of simplified student visa applications. “The categorisation of nationalities as low or high-risk creates a perception of an unwelcoming environment in the UK for international students. Evidence to this Inquiry has shown how strongly this was recently felt in India," according to the report, which recommends that any risk assessment should be based on individual circumstances rather than nationality. The APPG's new report makes 12 recommendations which it says, taken together, will restore the UK's competitiveness in the international education sector, following eight years of relative decline. Besides an "attractive" post-study programme, which allows students up to two years of work experience in the UK after completing their degree, the group highlights that immigration rules should facilitate and encourage students to study in the country at multiple levels. It also calls on the government to accurately track data on education as an export and as an economic value and conduct a review of so-called credibility interviews within the student immigration system to ensure the system is fit for purpose. “Even Canada attracts more students from India than the UK does. I strongly commend the recommendations included in this report as a way to put this right," said Indian-origin peer Lord Karan Bilimoria, Co-Chair of the APPG on International Students. “Britain is losing in the battle to attract talented and committed international students from around the world. Eight years of prioritising an impossible target using misleading statistics, over our economy and world-leading institutions has left the UK's position as the second largest destination for international students in jeopardy. It's time for us to move on and target growth in the number of international students," he said. The report also has a series of recommendations for higher education institutions to work with the government to continue to attract large numbers of international students. It claims to be the first report to bring together recommendations to share growth across all areas of the UK and all levels of education, including universities, colleges, schools and English-language providers. “We need to press the reset button, establish an ambitious strategy to increase recruitment, put new policies in place, and send out a clear message that international students are welcome in the UK," said Paul Blomfield, Labour Party MP and APPG Co-Chair. “International students make a huge contribution, both academically and economically, and our diverse student population is crucial to the education, research and innovation for which we are known around the world. “The measures in this report will enable the UK to recover its falling share in the international student market, and I wholeheartedly urge the government to take note, in the national interest," said Professor Koen Lamberts, President & Vice Chancellor of the University of Sheffield and Chair of the UK Council for International Student Affairs. Following the publication of the report, the APPG said it plans to help champion the agenda within Parliament - including during the passage of the upcoming Immigration Bill - and encourage the government to back its recommendations.